ADA: Is the Estate handicap accessible? The whole Estate is handicap accessible, except for the creekside location, which is accessible only by stairs. We do offer seating on top of the deck that overlooks the creekside location and is a perfect alternative. In addition, we have previously accommodated those who are handicapped in reaching the creeskside location and can accommodate for that request in the future. We also have a ramp available upon request for access to the bridal room. Bar: Offsite Alcohol Allowed, Can I bring in my own alcohol? : Commellini Estate is a liquor licensed facility and therefore is legally required that all beverages be supplied in-house. Our liquor license does not permit the use of outside alcohol on our premise. Clients are welcome to choose to have a cash bar, hosted bar, or any combination thereof. We are even happy to special order in beverage option that is available in Washington State. Our license allows us to serve beer, wine, and liquor. Due to Washington State Liquor Laws no alcohol purchased offsite may not be consumed at Commellini Estate. In addition, alcohol will be served to only guests that are (twenty-one) 21 years of age and over. Bar: Menu Options: Commellini Estate has an affordable beer, wine and spirits menu you can select from. If beer, wine and spirits selections are made from this list then you will only be charged for what is consumed on the night of the event. Specialty beer and wine can be purchased through Commellini Estate; however you must pay for the entire case, fourteen (14) days prior to the event. Bar: Bartender fee: There is a $175 per bartender station. When booking both a ceremony and reception this fee includes however many bartenders are needed (not per bartender). This includes their setup, teardown, and for them to work the entire event. Bar: What type of options are available in the bar, and what are the payment policies that are associated with it? Our full bar includes beer, wine, and liquor options. As a booked client, you have the options to use our full bar to fit the needs of your event. That means you can choose to host everything that comes from the bar, host nothing that comes from the bar, or have specifications. This could be specification on the quantity, type of drink, or monetary limit. It is completely up to the host. There is a mandatory $175 beverage service fee that covers the bartenders and dishware used. There is no additional corkage fee. If there is a special drink request, we would be more than happy to purchase that through our supplier, and then served it at your wedding. By Consumption: If you want to buy a coffee, tea or pop, it is $3.000 per drink. That means it’s $3.00 for pop, but if you switch to coffee its an additional $3.000. The bartender simply tallies up the orders and there is a bill to settle at the end of the event. Pre-Order Unlimited: If purchased before the day of event and for all guest in attendance, it is $1.99 per person. You can switch from coffee to pop to tea and not make any more additional purchases. Batch Order: You can also order a non-alcoholic beverage by the 3 gallon batch. Examples include Ice-Tea, Strawberry Lemonade, etc. Pricing is based on the beverage selected but generally is between $60-80. Bridal Room & Grooms Room: Is there a getting ready area? Yes. Our inviting bridal suite is perfect for all your preparation needs. Features include a full bathroom, closet, 2 full length mirrors, makeup mirror, 3 additional mirrors, vanity lighting, and leather lounge chairs. Our grooms room is in the comfortable La Capanna and features a 70 inch tv. Is there Parking: Yes,we have ample onsite parking. lots. The Estate has 95 parking spaces available on the East side of the venue. If additional parking is needed, fear not, as we have 200 acres and parking attendants to direct your guests to additional onsite parking spaces (within a 2 min walk). Setup & Cleanup: Do we have to set up/clean the venue same day? Yes. Although we take care of all of the setup of Commellini Estate amenities and handle all of the cleanup. At the end of the evening all you have to worry about is taking your gifts home and anything else you might want after. Never will you or your guest have to remain behind to clean up trash etc. Inclement Weather: Can we hold the ceremony outdoors? Do you have a weather contingency plan (is there a tent we can set up or do we have to supply our own)? Yes, rain, snow, or sunshine, our inclement weather options will ensure your event goes off without a hitch! We have multiple different plan B options when it comes to inclement weather. However we do not have tents onsite. If our couples want their plan B option to be tents then we can rent, organize, and set them up for you. Or if you want to bring them in on your own thats fine too, but we recommend not having that stress especially since we do not charge anything above the rental company fees for this. Catering: Is there a Cake Cutting Fee? Commellini Estate takes care of the dishware, cake cutting, and service of the cake at no additional charge. Catering: Do we pay full price for children? We have specialty Children Menu Pricing. At, Commellini Estate, we require the total number of people at the estate. However children 0-4 years-old are free. Children 5-10 years-old menus are 15% off the selected menu. Catering: Can we bring in our own food? No, Commellini Estate does all onsite food and beverage with the exception of the wedding cake or wedding cake alternative (pie, cupcakes, etc). Please note Commellini Estate’s award winning Chefs will create the most exceptional menu for you and your guests. Our specialty is homemade traditional rustic Italian, however our Chefs are all culinary art trained and can come up with a menu that fits you, your fiancé, and your wedding style. For further information on our Catering options please refer to our Event Menus. Catering: Can we do a food tasting prior to finalizing our menu selection? We do not offer any food tastings specifically for a wedding, but we do offer alternative means of sampling our food. 1. Farmers Markets: We are at various Farmers Markets between May-October and offer samples at our booth. Please stop by and say hello. 2. Gourmet 2 Go Line: We offer a variety of rotating ready-to-go meals and sauces that come frozen. Because the frozen meals are fresh and homemade, either check out Frozen Retail tab, or give us a call in the office, to see what the current offerings are. 3. Open Houses: Approximately once a quarter we host an Open House and have menu samples at each. Contact our event planning professionals for upcoming dates. Catering: What happens to extra food? If there is leftover food then we package it up in to-go boxes for you or your family to enjoy. Pending on the menu we can package items up like we do for the farmers market to be frozen and eaten after the honeymoon. Please note we always send a bride & groom to go box as we find that the couple is often hungry when they reach the hotel. With that being said there are a few buffet time limitations. In compliance with the Health Department’s regulations, food can be left out for no more than two hours. In accordance with appropriate Health Codes, Commellini Estate reserves the right to discard any leftover food items, after the agreed upon event timetable, where there is a reasonable risk for food borne illness to occur. Ceremony Rehearsal: When can we schedule the ceremony rehearsal? The package pricing includes a one-hour rehearsal prior to your event. This is usually scheduled a day or two before the wedding date. We can pick whichever day you would like for the ceremony rehearsal. However, exact timing of the rehearsal must be flexible until 14-days before the event. If we have an event on your rehearsal day they can continue to change their timeline until 14-days in advance. However we rarely have to change the timing within 30-days. Décor: Are there any decoration limitations? Can we use candles? Yes we have a few decoration limitiations but their purpose is to to preserve the venue and grounds for the enjoyment of others. In general, nails, thumb tacks, staples, stakes, and regular masking tape may not be used. String, ribbon, and blue “painter’s” masking tape may be used as long as they do not cause any damage. Bubbles are allowed outside the venue only. Indoor Limitations: Bubbles, nails, pins, duct tape, scotch tape, fresh flowers on floor, fireworks, bird seed, rice, and candles that are not enclosed in a votive. Outdoor Limitations: Nails, pins, tape, duct tape, scotch tape, silk petals in the grass, birdseed, rice, confetti, silly string, candles that are not enclosed in a votive, and firework (including sparklers). Décor: What are the trellis dimensions down at the Creekside location? The trellis dimensions are 10 by 10 by 8 feet tall. The aisle leading up to the trellis is 4 feet wide. Decor: What are the table dimensions? Hours: How many hours do we get the venue for? At Commellini Estate there is no specific start and end time. If you want to have a sunrise wedding or party till 2:00 in the morning, then by all means! Below are the hours included per package. Please note additional hours can be purchased if more time is needed. Friday-Sunday Ceremony & Reception Package: includes (one) 1 hour ceremony rehearsal (the day or two before) (two) 2 hours setup, (six) 6 hours for the ceremony and reception, (one) 1 hour teardown. Monday-Thursday Ceremony & Reception Package: includes (one) 1 hour ceremony rehearsal (the day or two before) (two) 2 hours setup, (four) 4 hours for the ceremony and reception, (one) 1 hour teardown. Reception Only Package includes (one) 1 hours for setup, (five) 5 hours for the event, and a (one) 1 hour teardown. Hours: When can my vendors setup or make deliveries? The vendors can start arriving and making deliveries once your designated setup time begins on your wedding day (usually 1-2 hours before the event pending on package). We don’t allow any deliveries before your setup begins simply because we don’t want anything to happen to them earlier and there may not be someone onsite to accept them. Hours: For a reception only event, when can we come decorate? For a Reception Only package your setup time can begin 2 hours before your designated ceremony time. Example: Offsite ceremony begins at 4:00PM. You can decorate between 2:00 PM and 3:00 PM. Will there be another event at the estate on the day of my wedding? No, you have exclusive use of Commellini Estate on the day of your wedding. At the Estate we only hold one event at a time, so during your event you enjoy the estate exclusively! Rentals: For parties over 120 people rentals may be necessary. Whether they are needed or not depends on the table layout you select and your overall preferences. We have 120 salad plates, 120 dinner plate, 120 salad forks, 120 dinner forks, etc. Our salad plates are only 1 inch smaller than our dinner plates. Often clients choose to use the smaller plate option versus renting. We also have our deck furniture and other ways were rentals are not necessary pending on your preference. All initial quotes show what the maximum amount of rentals would be if you wanted everything to match perfectly. Restrooms: Are there on-site restrooms? Yes- As silly as it may sound we we actually pride ourselves on our restrooms and get complimented on how ornate and nice they are. Vendors: Can I hire my own vendors or must I select from a preferred vendor list? Commellini Estate has both a recommended vendor and preferred vendor list. Both are meant to be an asset for you not a restriction. You may select which ever vendors fits your personality and style. We have widdled down our Preferred vendor list to represent some of the best vendors in Spokane Wa. Although you are only required to work with our catering and beverage, our list of vendors is made up of people who go above and beyond for your event. In addition they all have supplied a Commellini Estate exclusive client discount. Music: Do we have to stop playing music at a certain time? No, we have no noise restrictions. It is common at certain venue that outdoor music is not allowed past 10:00 PM. This is not the case at Commellini Estate. Once again it is your day and you can keep partying late into the night. Music: Sound System: We have a state of the art sound system and wireless microphone (main venue, bar, deck, and under portico only). The system has the ability to play CDs, or anything with a headphone jack hook up (computer, iPads, iPods, iPhones, etc). Payment: How much is the deposit and when it is due? A wedding deposit is $500 and is nonrefundable. The deposit, along with a signed contract, are both needed to secure your wedding date. The $500 deposit is not an additional fee and goes towards paying the venue rental. The remaining payments are made at 6-months prior to wedding and 45 days prior to wedding. 50% of payment due at 6-months, and remaining paid at the 45-day. Payment: Is the deposit refundable? The deposit is non-refundable. It secured the date for you and blocks anyone else from being able to reserve that day. Payment: When do I need to pay you? Deposit: $500 non-refundable deposit to be submitted with signed contract to secure the date. If the booking-party cancels the event the deposit will be forfeited as liquidated damages. 45 Day Payment: 100% of total cost including venue, food, and bartender fee are paid in full in addition to a refundable $500.00 damage/cleaning deposit. Damage/cleaning deposit, returnable to the CLIENT(S) up to (two) 2 weeks after the event has been held once property has been inspected for any potential damage from special event or wedding. If the event is to be held within the 45 day period, payment in full is expected at the time contract is signed. Bar tabs are due at the end of the event day/night, prior to guest’s departure. Payment: Is there a cancellation policy? The $500 deposit is nonrefundable. Canceling within 6 months of event will result in a 50% charge of total event cost (including venue rental, food minimums, bartender fee, tax, and service fee). Canceling within 0-45 days of event will result in a 100% charge of total event cost (including venue rental, food minimums, bartender fee, tax, and service fee). Any additional costs (including rentals) that arise will be due on and no later than fourteen (14) days before the day of the event. Payment: Is there a military discount? Yes, there is a military discount and it is 15% off of the Ceremony Pricing ONLY. This discount is only applicable when both the Ceremony and Reception are both occurring at the estate and when no other discounts are in use. There is no discount for reception only options. Payment: Is there a discount for booking on different days of the week? Is there a discount for booking off-season? There is a discount if a wedding is booked on a Friday or Sunday, and then even more of a discount if booked on a Monday-Thursday. We do not have any off-season discounts, because here at Commellini, we can do weddings year round. Our indoor and outdoor versatility allows for us to host events year round. You also will receive the same amenities and services no matter what time of year you book. Event Coordinator: Is an event coordinator included? The most noteworthy amenity is your personal event coordinator. Our event coordinator helps throughout the entire planning process from coordinating timelines to through ceremony recessionals. Our planning and coordination services ensures your event represents your uniqueness and runs perfectly from start to finish. What is the wedding planning program? We realize that Spokane hasn’t quite made it on the wedding map and that online resources are wonderful but fail to assist in planning events in our area. This is where the All in One Wedding Planning Program comes in. This program assists with guests list, budget, timeline, seating chart, table layout, to do list, vendor search, wedding apps, music selection, ceremony details and reception details and décor. Guest Count: How many people can this location accommodate? The location can accommodate anywhere between 20-300 people, depending on the location. We change the layouts for each event, and can accommodate your event to your guest count. Our largest site for both ceremony and receptions is the pond side, which holds around 250-300 people. Guest Count: When is the Final Guest Count due? The total number of guest attending your event must be given to the Commellini Estate 14 days prior to the event. If at the 45-day payment you paid for 100 people and at the 14-day count you have 75 people then there will be a credit on your account. You can choose to receive this credit back immediately or use it on your bar tab. In the reverse if at the 45-day payment you have 75 people and then your final guest count at 14-days is 100 people the payment for the additional guest is due at the 14-day mark. 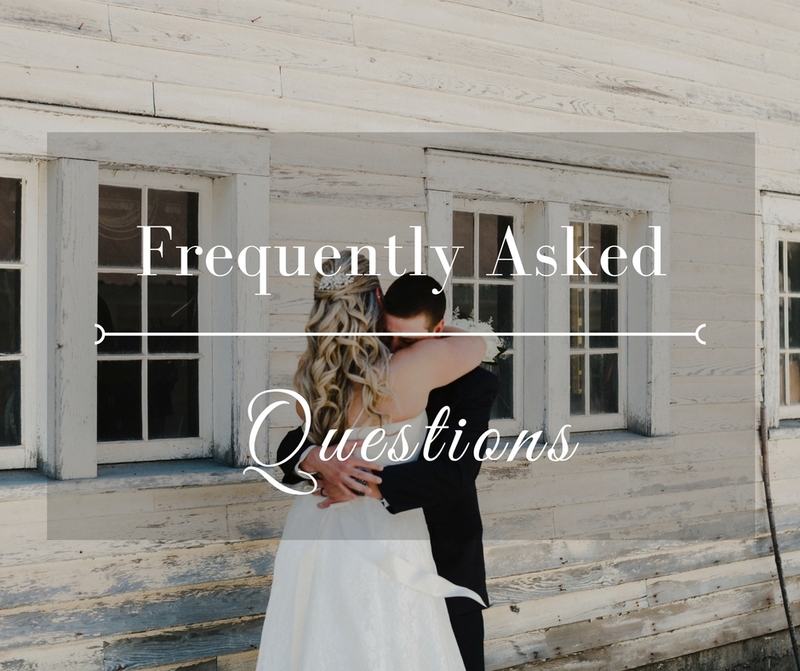 Wedding Liability Insurance: Do I need wedding liability insurance? Commellini Estate has event insurance and therefore does not require any additional insurance. You may choose to obtain wedding insurance. Basically, wedding insurance protects a couple’s investment from circumstances beyond their control, and reimburses expenses incurred. For example, what if your limo driver doesn’t show up and you have to book another one the morning of the wedding—for three times the price? Or what if the groom’s custom-made tuxedo is lost in airport baggage, and he has to buy a new one the day before the wedding? These are the types of wedding day financial losses that wedding insurance can help to protect.